Matt. 25:35-36; 42-43 "For I was an hungered, and ye gave me meat: I was thirsty, and ye gave me drink: I was a stranger, and ye took me in: Naked, and ye clothed me: I was sick, and ye visited me: I was in prison, and ye came unto me." "For I was an hungered, and ye gave me no meat: I was thirsty, and ye gave me no drink: I was a stranger, and ye took me not in: naked, and ye clothed me not: sick, and in prison, and ye visited me not." "For" marks a logical connective. Right conduct displays a righteous character. This kind can enter. cf. vs. 37 with 1 Cor. 6:9ff. "Then shall the righteous answer him, saying, Lord, when saw we thee an hungered, and fed thee? or thirsty, and gave thee drink?" "Know ye not that the unrighteous shall not inherit the kingdom of God? Be not deceived: neither fornicators, nor idolaters, nor adulterers, nor effeminate, nor abusers of themselves with mankind, Nor thieves, nor covetous, nor drunkards, nor revilers, nor extortioners, shall inherit the kingdom of God." "Then shall he say also unto them on the left hand, Depart from me, ye cursed, into everlasting fire, prepared for the devil and his angels." Luke 19:14 "But his citizens hated him, and sent a message after him, saying, We will not have this man to reign over us." This is the attitude of most of mankind today as well as the nation of Israel. "And before him shall be gathered all nations: and he shall separate them one from another, as a shepherd divideth his sheep from the goats." 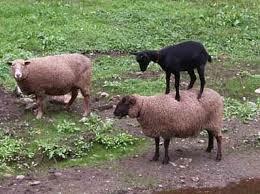 Like a shepherd who has in his flock both sheep and goats he examines them on the basis of nature. In the precise sense it is essential nature that is first under consideration. This means that this must be a judgment of individuals, just as the shepherd would carry out with his flock. Whole nations are therefore not in view, for nations do not have nature. Individuals alone possess nature. "My sheep hear my voice, and I know them, and they follow me: And I give unto them eternal life; and they shall never perish, neither shall any man pluck them out of my hand." In these operations, works are not under consideration. This does not involve a matter of reward or loss. This carries out the principle of John 3:3, 5 to determine the qualifi­cation for entrance to the kingdom. All nations - these are the Gentiles living at that time. This phrase generally refers to Gentiles. Since a disposition is already made of Jews (Matt. 25:1-13), this probably refers to Gentiles. Out of these must come the population of the kingdom. "Then shall the kingdom of heaven be likened unto ten virgins, which took their lamps, and went forth to meet the bridegroom. And five of them were wise, and five were foolish. They that were foolish took their lamps, and took no oil with them: But the wise took oil in their vessels with their lamps. While the bridegroom tarried, they all slumbered and slept. And at midnight there was a cry made, Behold, the bridegroom cometh; go ye out to meet him. Then all those virgins arose, and trimmed their lamps. And the foolish said unto the wise, Give us of your oil; for our lamps are gone out. But the wise answered, saying, Not so; lest there be not enough for us and you: but go ye rather to them that sell, and buy for yourselves. And while they went to buy, the bridegroom came; and they that were ready went in with him to the marriage: and the door was shut. Afterward came also the other virgins, saying, Lord, Lord, open to us. But he answered and said, Verily I say unto you, I know you not. Watch therefore, for ye know neither the day nor the hour wherein the Son of man cometh." "Then shall the King say unto them on his right hand, Come, ye blessed of my Father, inherit the kingdom prepared for you from the foundation of the world." A kingdom not only demands that there be a king and a realm, but also subjects. For this kingdom has been prepared for a population. The Inauguration of the Kingdom Demands that There be a Qualified Population. "And the armies which were in heaven followed him upon white horses, clothed in fine linen, white and clean." "When the Son of man shall come in his glory, and all the holy angels with him, then shall he sit upon the throne of his glory:"
In the Distributive Sense, this Judgment takes Place all Across the World. "Before Him" means it is centered there. Perhaps by television. But the people cannot all get there, so Church, Saints, and Angels carry out orders. "When . . . then." This indicates that we are dealing with time. "The Son of Man shall come" - Arrival and presence. "For the Father judgeth no man, but hath committed all judgment unto the Son." "And hath given him authority to execute judgment also, because he is the Son of man." This is the throne of His glory. "He shall be great, and shall be called the Son of the Highest: and the Lord God shall give unto him the throne of his father David." "For unto us a child is born, unto us a son is given: and the government shall be upon his shoulder: and his name shall be called Wonderful, Counsellor, The mighty God, The everlasting Father, The Prince of Peace. Of the increase of his government and peace there shall be no end, upon the throne of David, and upon his kingdom, to order it, and to establish it with judgment and with justice from henceforth even for ever. The zeal of the LORD of hosts will perform this." "And it shall come to pass in the last days, that the mountain of the Lord's house shall be established in the top of the mountains, and shall be exalted above the hills; and all nations shall flow unto it. And many people shall go and say, Come ye, and let us go up to the mountain of the LORD, to the house of the God of Jacob; and he will teach us of his ways, and we will walk in his paths: for out of Zion shall go forth the law, and the word of the LORD from Jerusalem." No general judgment is taught in the Scriptures, including all people, living and dead, covering all time. The reason for this lies in the fact that there are many companies of people, living under varying circumstances, and answering to different purposes of God. Therefore there are many judgments. There is the judgment of the Cross, the judgment of angels, the judgment of the Church, the judgment of Jews, the judgment of the Dead, and the judgment of the Gentiles. The Judgment of Gentiles is the subject for this set of articles. These are nations of people that will be living at the end of the tribulation period and some disposition of them must be made. "If any man's work abide which he hath built thereupon, he shall receive a reward." Rewards are earned by works (Mat 10:42; Luke 19:17; 1 Cor 9:24 - 25; 2 Tim 4:7 - 8; Rev 2:10; 22:12). The severity of the test only proves that the work has genuine worth, for it survives the test. These words describe a possible condition of a saint of God in the Day of final testing. The subject is one of service. That of life is not in view except as in some senses that is always involved in service. As we have seen, the saint of God is in fellowship with the Lord in responsibility. That means work; and Paul here deals with it under the figure of building upon the foundation. All such building is to be tested by fire. That which is true and precious will be made more beautiful by the fire. That which is false and unworthy will be destroyed by the fire. When that is so, the man himself will be "saved, get so as through fire." His ultimate salvation will be secured by the destruction of his work. Can anything be more calculated to give us cause in our work? What are we building? 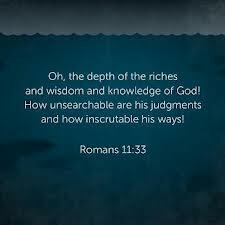 That is, what sort of material are we laying upon the foundation? The things of gold, silver, costly stones, are the things of eternity. Those of wood hay, stubble, are those which are only of time. When the saints of God are tempted to forget the spiritual and eternal implication and application of all they do, they are in danger of doing work which must be destroyed in order that they may be saved. We are humbled by the grace which will destroy our unworthy works to save us are constrained thereby to take how we build. The severity of the test only proves that the work was intrinsically worthless, for it did not survive the test. Therefore there could be no reward. "...but he himself shall be saved; yet so as by fire. Know ye not that ye are the temple of God, and that the Spirit of God dwelleth in you? If any man defile the temple of God, him shall God destroy; for the temple of God is holy, which temple ye are." ".....but he himself shall be saved; yet so as by fire." The Saints have a Part in Building this Temple. Christ is the Ultimate Builder, but He uses Means to an End. Matt. 16:18"And I say also unto thee, That thou art Peter, and upon this rock I will build my church; and the gates of hell shall not prevail against it." 1. Apostles - 1 Cor. 4:15; 9:1 "For though ye have ten thousand instructors in Christ, yet have ye not many fathers: for in Christ Jesus I have begotten you through the gospel." "Am I not an apostle? am I not free? have I not seen Jesus Christ our Lord? are not ye my work in the Lord?" 2. Members of church - Eph. 4:11 "And he gave some, apostles; and some, prophets; and some, evangelists; and some, pastors and teachers." "Behold, I show you a mystery; We shall not all sleep, but we shall all be changed,"
The Process of Examination will be by Means of a Severe Test. "Try" - dokimazw dokimazo dok-im-ad'-zo. The Purpose of Examination is to Approve the Work. "Every man's work shall be made manifest: for the day shall declare it, because it shall be revealed by fire; and the fire shall try every man's work of what sort it is." "Every man's work shall be made manifest: for the day shall declare it, because it shall be revealed by fire; and the fire shall try every man's work of what sort it is. If any man's work abide which he hath built thereupon, he shall receive a reward." "Now he that planteth and he that watereth are one: and every man shall receive his own reward according to his own labor." "Therefore judge nothing before the time, until the Lord come, who both will bring to light the hidden things of darkness, and will make manifest the counsels of the hearts: and then shall every man have praise of God." There are two kinds of material that can be used to erect a super­structure on this foundation: the perishable and the permanent. Both are pretentious. Generally accessible to most people. Easily usable by the average person. Even this type of materials can be used to erect a structure that gives outward glamor and pretentiousness. The Perishableness of these Materials is an Important Factor when the test for Endurance is Applied. In this case, fire is the factor in this figure. Generally inaccessible to most people. Exceedingly expensive for most people. Amazingly unusable by most people. This is the sort of materials that goes to make the palace for the king. It not only has outward glamor but also inner elegance and intrinsic worth. The Permanence of these Materials is Demonstrated when the Severe Test is Applied. In accord with the figure, fire refines but it does not destroy. The Church is a group of people saved during the present dispensation. Acts 15:14"Simeon hath declared how God at the first did visit the Gentiles, to take out of them a people for his name." The Church experiences its sojourn in the earth from Pentecost to the rapture. 1 Cor. 15:51-52"Behold, I show you a mystery; We shall not all sleep, but we shall all be changed, In a moment, in the twinkling of an eye, at the last trump: for the trumpet shall sound, and the dead shall be raised incorruptible, and we shall be changed." The Church is a group of people separated to the Lord by baptism of the Spirit. 1 Cor. 12:13"For by one Spirit are we all baptized into one body, whether we be Jews or Gentiles, whether we be bond or free; and have been all made to drink into one Spirit." "According as he hath chosen us in him before the foundation of the world, that we should be holy and without blame before him in love." "Husbands, love your wives, even as Christ also loved the church, and gave himself for it;" "This is a great mystery: but I speak concerning Christ and the church." The Church as a distinct group deserves to have its service judged at a special throne. 2 Cor. 5:10"For we must all appear before the judgment seat of Christ; that every one may receive the things done in his body, according to that he hath done, whether it be good or bad." "The next day John seeth Jesus coming unto him, and saith, Behold the Lamb of God, which taketh away the sin of the world." "For if we sin wilfully after that we have received the knowledge of the truth, there remaineth no more sacrifice for sins, But a certain fearful looking for of judgment and fiery indignation, which shall devour the adversaries. He that despised Moses' law died without mercy under two or three witnesses: Of how much sorer punishment, suppose ye, shall he be thought worthy, who hath trodden under foot the Son of God, and hath counted the blood of the covenant, wherewith he was sanctified, an unholy thing, and hath done despite unto the Spirit of grace? For we know him that hath said, Vengeance belongeth unto me, I will recompense, saith the Lord. And again, The Lord shall judge his people. It is a fearful thing to fall into the hands of the living God." The Issues of this Judgment Concerning Sinners Those who continue to reject the work of the Cross. 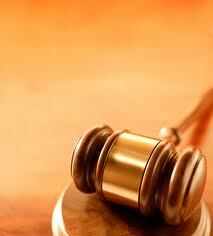 The Issues of this Judgment Concerning Believers. Those who finally accept the work of the cross. "But God forbid that I should glory, save in the cross of our Lord Jesus Christ, by whom the world is crucified unto me, and I unto the world." "Knowing this, that our old man is crucified with him, that the body of sin might be destroyed, that henceforth we should not serve sin. For he that is dead is freed from sin." This means that Christ was reckoned as the sin. Peter quotes and comments on Isaiah 53:4-9 and teaches that the purpose of the death of Christ on the cross was not for physical healing but the paralysis of living in sin was dealt with and done away. (1 Peter 2:21-25). Instead of the alleviation of suffering we are called for the very purpose of suffering and from which men shrink. He left an example which men today refuse to follow. When suffering of any degree come into their experience they call upon the One to remove the experience saying He owes that to them because of Isaiah 53:5. Peter sharply disagrees with that interpretation and comments in these verses that the purpose of suffering was for an example, not an excuse for removal. Paul also agrees with tribulation being a friend for "it worketh patience, therefore rejoice in it" (Rom 5:3); And he says that in our affliction we should rejoice also for "Affliction works a far more exceeding and eternal weight of glory, therefore rejoice in your affliction" (2 Cor 4:17); and sorrows are our allie for "Godly sorrow worketh repentance" (2 Cor 7:10).Men in the church today shrink from the things which are their allies, friends, and for which they are to give prayers of thanksgiving instead of their removal. Instead today they ask for intercession. They do not know God very well and for what He has called them. Out of tribulation, comes patience which leads on to confidence and hope of ultimate victory. Afflictions which can be dismissed in the light of eternity as light afflictions, which are but for the moment according to the Apostle Paul who went through several beatings, are seen to be working out the weight of eternal glory. Sorrows of the soul are working toward the change of mind which means its transformation into perfect harmony with the mind of Christ Himself. All this is the outcome of knowing God. We need to cooperate with the process not demand a life of ease and comfort. Through suffering we learn obedience as the Son left us His example (Heb 5:8). Through the process that Peter says we are called, of suffering and weakness, joy and triumph come. That is a clear vision of God. When we see God through Christ we are no longer bound to secondary issues of this life but we gain a close relationship to the Primary and Final Cause. That is why Paul and Silas sang and said prayers of thanksgiving (kai) in prison after a severe beating (Acts 16:25). Finally at the start of 1 Peter 4 he states that since Christ went through suffering in the flesh, we are to "arm yourself also with the same purpose." See Matt 8:17 where Christ quotes this verse. "For what the law could not do, in that it was weak through the flesh, God sending his own Son in the likeness of sinful flesh, and for sin, condemned sin in the flesh:"
This was full satisfaction. An infinite penalty was paid by an infinite life in a moment of time. This will never need to be repeated. "For the love of Christ constraineth us; because we thus judge, that if one died for all, then were all dead." "Know ye not, that so many of us as were baptized into Jesus Christ were baptized into his death?" "For if we have been planted together in the likeness of his death, we shall be also in the likeness of his resurrection." 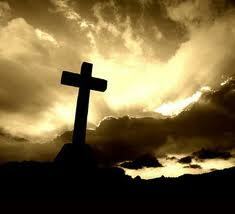 It was the sin of the world that produced the Cross. By implication this points to ultimate infliction of judgment at the great white throne. "Of judgment, because the prince of this world is judged." Satan initiated the cross by his sin. His rejection of the cross seals his own doom. The execution of the penalty only waits for the proper time. Phil. 2:8 "The death of the Cross""
"And being found in fashion as a man, he humbled himself, and became obedient unto death, even the death of the cross." He not only stooped from the glory of heaven’s throne to become a true human being, yet sinless, but He also became like a bondservant and finally like a guilty criminal, condemned to die, even(!) to die in what has been said to be the most excruciatingly painful death conceivable, that of crucifixion. His obedience all through His life culminated in this ultimate act of obedience (Hebrews 5:8), and it was all for us! "The God of Abraham, and of Isaac, and of Jacob, the God of our fathers, hath glorified his Son Jesus; whom ye delivered up, and denied him in the presence of Pilate, when he was determined to let him go. But ye denied the Holy One and the Just, and desired a murderer to be granted unto you; And killed the Prince of life, whom God hath raised from the dead; whereof we are witnesses." "Be it known unto you all, and to all the people of Israel, that by the name of Jesus Christ of Nazareth, whom ye crucified, whom God raised from the dead, even by him doth this man stand here before you whole." "Him, being delivered by the determinate counsel and foreknowledge of God, ye have taken, and by wicked hands have crucified and slain." "Who by the mouth of thy servant David hast said, Why did the heathen rage, and the people imagine vain things? The kings of the earth stood up, and the rulers were gathered together against the Lord, and against his Christ. For of a truth against thy holy child Jesus, whom thou hast anointed, both Herod, and Pontius Pilate, with the Gentiles, and the people of Israel, were gathered together." "But those things, which God before had showed by the mouth of all his prophets, that Christ should suffer, he hath so fulfilled." "Forasmuch as ye know that ye were not redeemed with corruptible things, as silver and gold, from your vain conversation received by tradition from your fathers; But with the precious blood of Christ, as of a lamb without blemish and without spot: Who verily was foreordained before the foundation of the world, but was manifest in these last times for you,"
Vain conversation is one who talks without walking what he talks about. The establishment of this kingdom was determined before, and designed and prepared from the foundation of the world. The all-consuming purpose of God in creation was to establish a Kingdom on this earth in which He could display His glory in the Person of His Son. This display was to be made to creatures made in His image and likeness and therefore capable of apprehending, appreciating, and applauding that glory. Like phrases are given in Isa 14:26-27; Matt 13:35, Matt. 25:34; Luke 11:50; John 17:24, Eph. 1:4, Heb. 1:10, Heb. 4:3, Heb. 9:26; 1 Pet. 1:20, Rev. 13:8, Rev. 17:8. Whatever application these passages may have to the future kingdom, we cannot rid ourselves of the plainly implied meaning that, in the mind of the Divine Architect and Purposer, the contemplated final use of this world was allied with its origin. The OT question asks the question where the Lamb is at and Isaac was the person asking in Gen. 22:7, and here John answers the question in the NT. "Now is the judgment of this world: now shall the prince of this world be cast out. And I, if I be lifted up from the earth, will draw all men unto me. This he said, signifying what death he should die." John 12:31-33 "Now is the judgment of this world: now shall the prince of this world be cast out. And I, if I be lifted up from the earth, will draw all men unto me. This he said, signifying what death he should die." Heb. 9:26 "For then must he often have suffered since the foundation of the world: but now once in the end of the world hath he appeared to put away sin by the sacrifice of himself." Heb. 10:26-28; 10:12 "For if we sin wilfully after that we have received the knowledge of the truth, there remaineth no more sacrifice for sins, But a certain fearful looking for of judgment and fiery indignation, which shall devour the adversaries. He that despised Moses' law died without mercy under two or three witnesses:"
"But this man, after he had offered one sacrifice for sins for ever, sat down on the right hand of God." Acts 5:1-11 "But a certain man named Ananias, with Sapphira his wife, sold a possession, And kept back part of the price, his wife also being privy to it, and brought a certain part, and laid it, at the apostles' feet. But Peter said, Ananias, why hath Satan filled thine heart to lie to the Holy Ghost, and to keep back part of the price of the land? Whiles it remained, was it not thine own? and after it was sold, was it not in thine own power? why hast thou conceived this thing in thine heart? thou hast not lied unto men, but unto God. And Ananias hearing these words fell down, and gave up the ghost: and great fear came on all them that heard these things. And the young men arose, wound him up, and carried him out, and buried him. And it was about the space of three hours after, when his wife, not knowing what was done, came in. And Peter answered unto her, Tell me whether ye sold the land for so much? And she said, Yea, for so much. Then Peter said unto her, How is it that ye have agreed together to tempt the Spirit of the Lord? behold, the feet of them which have buried thy husband are at the door, and shall carry thee out. Then fell she down straightway at his feet, and yielded up the ghost: and the young men came in, and found her dead, and, carrying her forth, buried her by her husband. And great fear came upon all the church, and upon as many as heard these things." 1 Cor. 11:27-30 "Wherefore whosoever shall eat this bread, and drink this cup of the Lord, unworthily, shall be guilty of the body and blood of the Lord. But let a man examine himself, and so let him eat of that bread, and drink of that cup. For he that eateth and drinketh unworthily, eateth and drinketh damnation to himself, not discerning the Lord's body. For this cause many are weak and sickly among you, and many sleep." 1 John 5:16 "If any man see his brother sin a sin which is not unto death, he shall ask, and he shall give him life for them that sin not unto death. There is a sin unto death: I do not say that he shall pray for it." 1. For the protection of the Church. "But a certain man named Ananias, with Sapphira his wife, sold a possession, And kept back part of the price, his wife also being privy to it, and brought a certain part, and laid it, at the apostles' feet. But Peter said, Ananias, why hath Satan filled thine heart to lie to the Holy Ghost, and to keep back part of the price of the land? Whiles it remained, was it not thine own? and after it was sold, was it not in thine own power? why hast thou conceived this thing in thine heart? thou hast not lied unto men, but unto God. And Ananias hearing these words fell down, and gave up the ghost: and great fear came on all them that heard these things. And the young men arose, wound him up, and carried him out, and buried him. And it was about the space of three hours after, when his wife, not knowing what was done, came in. And Peter answered unto her, Tell me whether ye sold the land for so much? And she said, Yea, for so much. Then Peter said unto her, How is it that ye have agreed together to tempt the Spirit of the Lord? behold, the feet of them which have buried thy husband are at the door, and shall carry thee out. Then fell she down straightway at his feet, and yielded up the ghost: and the young men came in, and found her dead, and, carrying her forth, buried her by her husband. And great fear came upon all the church, and upon as many as heard these things." "Your glorying is not good. Know ye not that a little leaven leaveneth the whole lump?" 2. For the preservation of the believers. That we should not be condemned with the world. "For if we would judge ourselves, we should not be judged. But when we are judged, we are chastened of the Lord, that we should not be condemned with the world." 3. For participation in holiness. "Furthermore we have had fathers of our flesh which corrected us, and we gave them reverence: shall we not much rather be in subjection unto the Father of spirits, and live? For they verily for a few days chastened us after their own pleasure; but he for our profit, that we might be partakers of his holiness. Now no chastening for the present seemeth to be joyous, but grievous: nevertheless afterward it yieldeth the peaceable fruit of righteousness unto them which are exercised thereby. Wherefore lift up the hands which hang down, and the feeble knees; And make straight paths for your feet, lest that which is lame be turned out of the way; but let it rather be healed. Follow peace with all men, and holiness, without which no man shall see the Lord." 4. For the preeminence of the Lord. He that glorieth, let him glory in the Lord. "For if we would judge ourselves, we should not be judged." Rev. 2:7 "He that hath an ear, let him hear what the Spirit saith unto the churches; To him that overcometh will I give to eat of the tree of life, which is in the midst of the paradise of God." Rev. 2:5 "Remember therefore from whence thou art fallen, and repent, and do the first works; or else I will come unto thee quickly, and will remove thy candlestick out of his place, except thou repent." The fact that the warnings He gives to each Church respecting His Coming to punish or reward as their respective condition will be at such a Coming, clearly proves that these are not successive, for they are all in existence at His second Advent. In the first chapter of this book the Lord was unveiled before our eyes in all the glory of His Person. He was disclosed as to the eternity of His Being; as to the wonders of His official position, and as to the infinite grace and tenderness of His attitude toward men. In this chapter and the next He passes before us in the wisdom, grace, strength, and august majesty of His relationship to His Church, as it is composed of different churches. To each one He says "I know," and on the basis of His knowledge He commends or condemns. He is the Faithful and true Witness. To each one also He reveals the way of escape from those things which He condemns. To each one He speaks of the possibility of overcoming, and promises fitting rewards to such as do so. The words we have chosen constitute His call to the first of these churches, that at Ephesus. There was much in this church which gained His commendation, but it had one serious failing. It had lost its first love (communion). It had lost the freshness and enthusiasm of its early devotion concerning what Jesus had taught concerning that commandment in John 13, His threefold ministry. It was still loyal and true, but the loyalty lacked meaning and the truth was devoid of flame. This is always a grave condition, because it so easily passes on into other phases. How was it to be remedied? He calls us to begin as we began at the beginning. You cannot undo the past and cannot change it. There is but one course of action open - that of cutting it out in an act of repentance and perfect confidence in the Lord. Begin again as though you never had known Him, and with all the simplicity of a child. After all, when this life is over we shall be received, not because of what we have done in Christian life and service, but only through His redeeming merit. Truth has such consistency that one doctrine affects all the rest. The sin of one affects the whole community in God's eye. Rev. 17:1, 16-17 "And there came one of the seven angels which had the seven vials, and talked with me, saying unto me, Come hither; I will show unto thee the judgment of the great whore that sitteth upon many waters." "And the ten horns which thou sawest upon the beast, these shall hate the whore, and shall make her desolate and naked, and shall eat her flesh, and burn her with fire. For God hath put in their hearts to fulfil his will, and to agree, and give their kingdom unto the beast, until the words of God shall be fulfilled." The great whore is Mystery Babylon, the erstwhile ally of political Babylon. She has incorporated all the anti-Christian and pseudo-Christian religions under her control, and probably all educational and cultural and sociological systems as well, in a vast syncretistic pseudo-religion designed to promote worship of the beast and Satan as the god of this world. Once that is accomplished, however, the political powers will have no further use for her and will appropriate all her vast holdings for themselves, destroying everything they cannot use. Gen. 12:10-20 In this case God was protecting the seed of Israel through which His son was to come. In like situation God judged Abimelech and his people to protect the seed of Israel. "And there was a famine in the land: and Abram went down into Egypt to sojourn there; for the famine was grievous in the land. And it came to pass, when he was come near to enter into Egypt, that he said unto Sarai his wife, Behold now, I know that thou art a fair woman to look upon: Therefore it shall come to pass, when the Egyptians shall see thee, that they shall say, This is his wife: and they will kill me, but they will save thee alive. Say, I pray thee, thou art my sister: that it may be well with me for thy sake; and my soul shall live because of thee. And it came to pass, that, when Abram was come into Egypt, the Egyptians beheld the woman that she was very fair. The princes also of Pharaoh saw her, and commended her before Pharaoh: and the woman was taken into Pharaoh's house. And he entreated Abram well for her sake: and he had sheep, and oxen, and he asses, and menservants, and maidservants, and she asses, and camels. And the LORD plagued Pharaoh and his house with great plagues because of Sarai Abram's wife. And Pharaoh called Abram, and said, What is this that thou hast done unto me? why didst thou not tell me that she was thy wife? Why saidst thou, She is my sister? so I might have taken her to me to wife: now therefore behold thy wife, take her, and go thy way. And Pharaoh commanded his men concerning him: and they sent him away, and his wife, and all that he had." Gen. 20:17-18 "So Abraham prayed unto God: and God healed Abimelech, and his wife, and his maidservants; and they bare children. For the LORD had fast closed up all the wombs of the house of Abimelech, because of Sarah Abraham's wife." Dan. 4:26-33 "And whereas they commanded to leave the stump of the tree roots; thy kingdom shall be sure unto thee, after that thou shalt have known that the heavens do rule. Wherefore, O king, let my counsel be acceptable unto thee, and break off thy sins by righteousness, and thine iniquities by showing mercy to the poor; if it may be a lengthening of thy tranquillity. All this came upon the king Nebuchadnezzar. At the end of twelve months he walked in the palace of the kingdom of Babylon. The king spake, and said, Is not this great Babylon, that I have built for the house of the kingdom by the might of my power, and for the honour of my majesty? While the word was in the king's mouth, there fell a voice from heaven, saying, O king Nebuchadnezzar, to thee it is spoken; The kingdom is departed from thee. And they shall drive thee from men, and thy dwelling shall be with the beasts of the field: they shall make thee to eat grass as oxen, and seven times shall pass over thee, until thou know that the most High ruleth in the kingdom of men, and giveth it to whomsoever he will. The same hour was the thing fulfilled upon Nebuchadnezzar: and he was driven from men, and did eat grass as oxen, and his body was wet with the dew of heaven, till his hairs were grown like eagles' feathers, and his nails like birds' claws." Likewise with Belshazzar, the final king of Babylon. "Belshazzar the king made a great feast to a thousand of his lords, and drank wine before the thousand. Belshazzar, whiles he tasted the wine, commanded to bring the golden and silver vessels which his father Nebuchadnezzar had taken out of the temple which was in Jerusalem; that the king, and his princes, his wives, and his concubines, might drink therein. Then they brought the golden vessels that were taken out of the temple of the house of God which was at Jerusalem; and the king, and his princes, his wives, and his concubines, drank in them. They drank wine, and praised the gods of gold, and of silver, of brass, of iron, of wood, and of stone. In the same hour came forth fingers of a man's hand, and wrote over against the candlestick upon the plaster of the wall of the king's palace: and the king saw the part of the hand that wrote. Then the king's countenance was changed, and his thoughts troubled him, so that the joints of his loins were loosed, and his knees smote one against another." "Then was the part of the hand sent from him; and this writing was written. And this is the writing that was written, MENE, MENE, TEKEL, UPHARSIN. This is the interpretation of the thing: MENE; God hath numbered thy kingdom, and finished it. TEKEL; Thou art weighed in the balances, and art found wanting. PERES; Thy kingdom is divided, and given to the Medes and Persians. Then commanded Belshazzar, and they clothed Daniel with scarlet, and put a chain of gold about his neck, and made a proclamation concerning him, that he should be the third ruler in the kingdom. In that night was Belshazzar the king of the Chaldeans slain." Acts 12:19-23 "And when Herod had sought for him, and found him not, he examined the keepers, and commanded that they should be put to death. And he went down from Judaea to Caesarea, and there abode. And Herod was highly displeased with them of Tyre and Sidon: but they came with one accord to him, and, having made Blastus the king's chamberlain their friend, desired peace; because their country was nourished by the king's country. And upon a set day Herod, arrayed in royal apparel, sat upon his throne, and made an oration unto them. And the people gave a shout, saying, It is the voice of a god, and not of a man. And immediately the angel of the Lord smote him, because he gave not God the glory: and he was eaten of worms, and gave up the ghost." Acts 13:6-11 "And when they had gone through the isle unto Paphos, they found a certain sorcerer, a false prophet, a Jew, whose name was Barjesus: Which was with the deputy of the country, Sergius Paulus, a prudent man; who called for Barnabas and Saul, and desired to hear the word of God. But Elymas the sorcerer (for so is his name by interpretation) withstood them, seeking to turn away the deputy from the faith. Then Saul, (who also is called Paul,) filled with the Holy Ghost, set his eyes on him, And said, O full of all subtlety and all mischief, thou child of the devil, thou enemy of all righteousness, wilt thou not cease to pervert the right ways of the Lord? And now, behold, the hand of the Lord is upon thee, and thou shalt be blind, not seeing the sun for a season. And immediately there fell on him a mist and a darkness; and he went about seeking some to lead him by the hand." Gen. 6:3 My spirit will not always strive with men. "And the LORD said, My spirit shall not always strive with man, for that he also is flesh: yet his days shall be an hundred and twenty years." This climax of depravity brought God's longsuffering to an end. Only 120 years of opportunity for repentance remained, while Noah constructed the ark that would save his family. Noah, the "preacher of righteousness'' (2 Pet. 2:5) warned those who were "disobedient, when the longsuffering of God waited . . . while the ark was a preparing" (1 Pet. 3:20), and by his unique faith in God's prophecy of "things not seen as yet . . . he condemned the world, and became heir of the righteousness which is according to faith" (Heb. 11:7). Ps. 76:10 The measure of wrath He will restrain. "Surely the wrath of man shall praise thee: the remainder of wrath shalt thou restrain." The phrase, "The wrath of man," here stands for all that is evil. It refers to the fierce passion of revolt, expressing itself in definite rebellion. Its appalling power has been seen in all the small conflicts, inspired by evil desire, and unrighteous lust. This singer of the olden time had seen the wrath of man working havoc in human affairs, as we also have seen it. But he had watched closely and he had seen God, surrounding all its activity by His Own presence and holding it within His Own, grasp, and so compelling it at last to work out His Own purpose, and thus to work towards His praise. Then he had seen God, when the limit was reached, restrain this wrath, in the pictorial language of the singer, girding it upon Himself, and so preventing its further action under the will of man. The declaration of this Hebrew singer, from what he saw in his own day, may be applied to all human history. Thus God has always compelled the wrath of man to praise Him; and this will He do until He finally gird it upon Himself, a trophy of His victory, a sure sign at once of His power and His love. Gen. 15:16 Iniquity of the Amorites is not yet full. "But in the fourth generation they shall come hither again: for the iniquity of the Amorites is not yet full." God has the destiny of all the nations pre-determined. Hab. 1:2-4; 1:5-11 "O LORD, how long shall I cry, and thou wilt not hear! even cry out unto thee of violence, and thou wilt not save! Why dost thou show me iniquity, and cause me to behold grievance? for spoiling and violence are before me: and there are that raise up strife and contention. Therefore the law is slacked, and judgment doth never go forth: for the wicked doth compass about the righteous; therefore wrong judgment proceedeth." "Behold ye among the heathen, and regard, and wonder marvelously: for I will work a work in your days, which ye will not believe, though it be told you. For, lo, I raise up the Chaldeans, that bitter and hasty nation, which shall march through the breadth of the land, to possess the dwelling places that are not theirs. They are terrible and dreadful: their judgment and their dignity shall proceed of themselves. Their horses also are swifter than the leopards, and are more fierce than the evening wolves: and their horsemen shall spread themselves, and their horsemen shall come from far; they shall fly as the eagle that hasteth to eat. They shall come all for violence: their faces shall sup up as the east wind, and they shall gather the captivity as the sand. And they shall scoff at the kings, and the princes shall be a scorn unto them: they shall deride every strong hold; for they shall heap dust, and take it. Then shall his mind change, and he shall pass over, and offend, imputing this his power unto his god." Isa. 26:9 Nations learn righteousness. "With my soul have I desired thee in the night; yea, with my spirit within me will I seek thee early: for when thy judgments are in the earth, the inhabitants of the world will learn righteousness." Hab. 1:12-17 More wicked used to judge the less wicked. "Art thou not from everlasting, O LORD my God, mine Holy One? we shall not die. O LORD, thou hast ordained them for judgment; and, O mighty God, thou hast established them for correction. Thou art of purer eyes than to behold evil, and canst not look on iniquity: wherefore lookest thou upon them that deal treacherously, and holdest thy tongue when the wicked devoureth the man that is more righteous than he? And makest men as the fishes of the sea, as the creeping things, that have no ruler over them? They take up all of them with the angle, they catch them in their net, and gather them in their drag: therefore they rejoice and are glad. Therefore they sacrifice unto their net, and burn incense unto their drag; because by them their portion is fat, and their meat plenteous. Shall they therefore empty their net, and not spare continually to slay the nations?" Dan. 5:22-31 Babylon brought to an end. Final result is the release from captivity and return to Jerusalem. "And thou his son, O Belshazzar, hast not humbled thine heart, though thou knewest all this; But hast lifted up thyself against the Lord of heaven; and they have brought the vessels of his house before thee, and thou, and thy lords, thy wives, and thy concubines, have drunk wine in them; and thou hast praised the gods of silver, and gold, of brass, iron, wood, and stone, which see not, nor hear, nor know: and the God in whose hand thy breath is, and whose are all thy ways, hast thou not glorified: Then was the part of the hand sent from him; and this writing was written. And this is the writing that was written, MENE, MENE, TEKEL, UPHARSIN. This is the interpretation of the thing: MENE; God hath numbered thy kingdom, and finished it. TEKEL; Thou art weighed in the balances, and art found wanting. PERES; Thy kingdom is divided, and given to the Medes and Persians. Then commanded Belshazzar, and they clothed Daniel with scarlet, and put a chain of gold about his neck, and made a proclamation concerning him, that he should be the third ruler in the kingdom. In that night was Belshazzar the king of the Chaldeans slain. And Darius the Median took the kingdom, being about threescore and two years old." In these words the sin of Belshazzar was stated in its deepest meaning. The scene represents him in the midst of a thousand of his lords, drinking wine out of vessels taken from the Temple of Jehovah, and offering worship in the act to gods of gold, of silver, of brass, of iron, of wood, and of stone This man was the son of Nebuchadnezzar. He was familiar with the things that had happened to him. He knew through what experiences his father had been brought to acknowledgment of the Kingdom of the Most High. This, then, in itself, was an occasion and an act of defiant rebellion against that Kingdom. For that final act his doom was sealed. In that night he was slain. Daniel, now an old man, interpreted the mystic writing on the wall, and in these words revealed the true nature of Belshazzar's sin. There is tremendous force in the statement. It recognized the relation of the man to God. his breath-foul then with obscenity and profanity-was in the hand of God; his ways-crooked and perverse and rebellious-were yet under the Divine control. Yet this man had used his breath for blasphemy rather than for praise, and his ways had been those of self-indulgence, rather than those of fulfilling the will of God. Therefore he lost his pleasure, his power, and his life. With many different manifestations, this is the one sin which brings about human ruin. The breath of every man is in the hands of God, and so also are the ways of each. Let life respond to that fact, rather than rebel against it. This helps to understand the meaning of the omnipresence of God. 1. There are two kinds of judgment carried on by the Lord: TEMPORAL JUDGMENT AND FINAL JUDGMENT. 2. Final judgments are complete within themselves and they endure. They are referred to as eternal judgments because the revelation, evaluation, and administration of judgment last forever. Heb. 6:2"Of the doctrine of baptisms, and of laying on of hands, and of resurrection of the dead, and of eternal judgment." 3. The temporal judgments are those divine operations that serve a specific purpose at the time they occur. These judgments may be repeated for individuals or groups of individuals, and these judgments do preclude final judgment on the same individuals or groups of individuals. Gen. 15:14 That nations, whom they serve will I judge. "And also that nation, whom they shall serve, will I judge: and afterward shall they come out with great substance." Gen. 30:6 And Rachel said, God hath judged me. "And Rachel said, God hath judged me, and hath also heard my voice, and hath given me a son: therefore called she his name Dan." Exo. 12:12 Against all the Gods of Egypt will I execute judgment. "For I will pass through the land of Egypt this night, and will smite all the firstborn in the land of Egypt, both man and beast; and against all the gods of Egypt I will execute judgment: I am the LORD." Deut. 32:36 For the Lord shall judge his people. "For the LORD shall judge his people, and repent himself for his servants, when he seeth that their power is gone, and there is none shut up, or left." Salvation is by grace and not works. Lostness is the rejection of salvation in Christ. Gal. 6:7-10 "Be not deceived; God is not mocked: for whatsoever a man soweth, that shall he also reap. For he that soweth to his flesh shall of the flesh reap corruption; but he that soweth to the Spirit shall of the Spirit reap life everlasting. And let us not be weary in well doing: for in due season we shall reap, if we faint not. As we have therefore opportunity, let us do good unto all men, especially unto them who are of the household of faith." 1 Cor. 3:14, 15 "If any man's work abide which he hath built thereupon, he shall receive a reward. If any man's work shall be burned, he shall suffer loss: but he himself shall be saved; yet so as by fire." Rev. 20:12, 13 "And I saw the dead, small and great, stand before God; and the books were opened: and another book was opened, which is the book of life: and the dead were judged out of those things which were written in the books, according to their works. And the sea gave up the dead which were in it; and death and hell delivered up the dead which were in them: and they were judged every man according to their works." Dan. 5:27 "thou art weighed in the balances and found wanting." Rom. 2:6 "Who will render to every man according to his deeds." As measured by the deeds. Rom. 2:2 "But we are sure that the judgment of God is according to truth against them which commit such things." This means that there will be every bit of truth brought to bear in the case. The evaluation will correspond to the facts. Luke 12:47-48 "And that servant, which knew his lord's will, and prepared not himself, neither did according to his will, shall be beaten with many stripes. But he that knew not, and did commit things worthy of stripes, shall be beaten with few stripes. For unto whomsoever much is given, of him shall be much required: and to whom men have committed much, of him they will ask the more." cf. Matt. 10:15 "Verily I say unto you, It shall be more tolerable for the land of Sodom and Gomorrha in the day of judgment, than for that city." This does not mean that ignorance removes guilt. But the amount of knowledge does measure the degree of guilt. 1 Cor. 4:5 "Therefore judge nothing before the time, until the Lord come, who both will bring to light the hidden things of darkness, and will make manifest the counsels of the hearts: and then shall every man have praise of God." Good motives reduce the measure of guilt. Evil motives increase the measure of guilt. Wicked men cannot have absolutely pure and good motives, but some motives are less wicked than others. Rom. 2:11 "For there is no respect of persons with God." Cf. James 2:1-5 "My brethren, have not the faith of our Lord Jesus Christ, the Lord of glory, with respect of persons. For if there come unto your assembly a man with a gold ring, in goodly apparel, and there come in also a poor man in vile raiment; And ye have respect to him that weareth the gay clothing, and say unto him, Sit thou here in a good place; and say to the poor, Stand thou there, or sit here under my footstool: Are ye not then partial in yourselves, and are become judges of evil thoughts? Hearken, my beloved brethren, Hath not God chosen the poor of this world rich in faith, and heirs of the kingdom which he hath promised to them that love him?" Rev. 2:16 "Repent; or else I will come unto thee quickly, and will fight against them with the sword of my mouth." This strikes at the very root of all sin. That gospel tells the story of the death of Christ because men hated Him. The degree of hate will be revealed by that gospel and will help to fix the degree of guilt. Luke 12:2 -- "Nothing covered that shall not be revealed. Nothing hid that shall not be known." "Every man's work shall be made manifest: for the day shall declare it, because it shall be revealed by fire....."
What hitherto existed and was unknown is now brought out into the open and made clear and plain. Rev. 20:12-13 "And I saw the dead, small and great, stand before God; and the books were opened: and another book was opened, which is the book of life: and the dead were judged out of those things which were written in the books, according to their works. And the sea gave up the dead which were in it; and death and hell delivered up the dead which were in them: and they were judged every man according to their works." There are books. This means there are records of all details associated with the deeds. This will answer the reason why men acted as they did. God reads the heart. And He has methods for bringing the hidden things to light. 2 Thess. 2:7 "For the mystery of iniquity doth already work: only he who now letteth will let, until he be taken out of the way." cf. Matt. 7:21-23 "Not every one that saith unto me, Lord, Lord, shall enter into the kingdom of heaven; but he that doeth the will of my Father which is in heaven. Many will say to me in that day, Lord, Lord, have we not prophesied in thy name? and in thy name have cast out devils? and in thy name done many wonderful works? And then will I profess unto them, I never knew you: depart from me, ye that work iniquity." The deeds were good; the words were good; the motive was wrong; and deeper than that the nature was wrong. The limitations of human judges is exhibited upon every hand. Isa. 11:3b. "And shall make him of quick understanding in the fear of the LORD: and he shall not judge after the sight of his eyes, neither reprove after the hearing of his ears." This is the sort of evidence that is acceptable in court and approved by men. But it is impossible for men to go deeper than this. Not all the facts are on the surface. Many of them are in the heart. But sometimes men cannot even go this far. They must resort to what is called circumstantial evidence. Sam Sheppard - the Dr. in Ohio. The lengthening of the process of judgment is exhibited upon every hand. Isa. 11:3a. Christ shall be of quick understanding in the fear of the Lord. This stands in contrast with limitations men are confronted with. What started out as a simple case became involved and detailed and lengthy. The multiplication of details in every case of judgment always reaches beyond what at first is expected. Nature: regenerate or unregenerate; motives: good or bad; thoughts: wholesome or demoralizing; words: secret, clear, vague, open, devisive, holy, bad; deeds: simple, involved, extended, and influential.